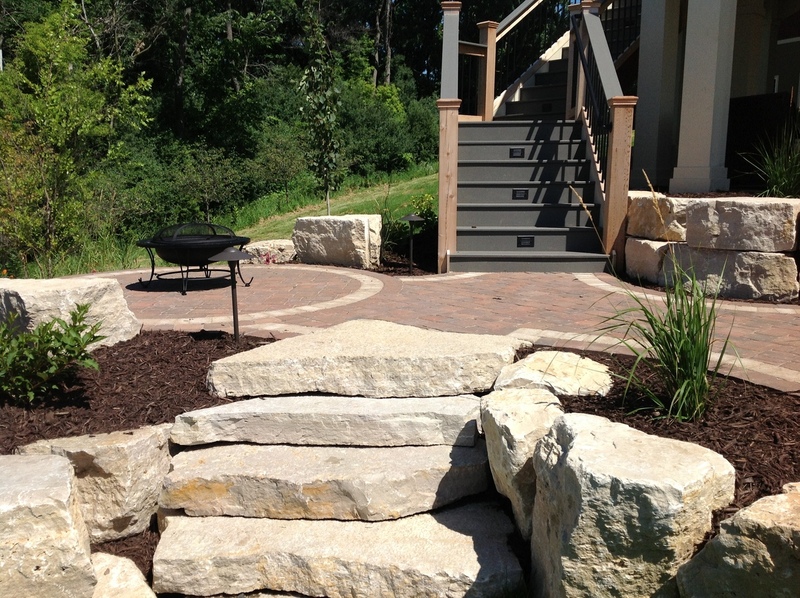 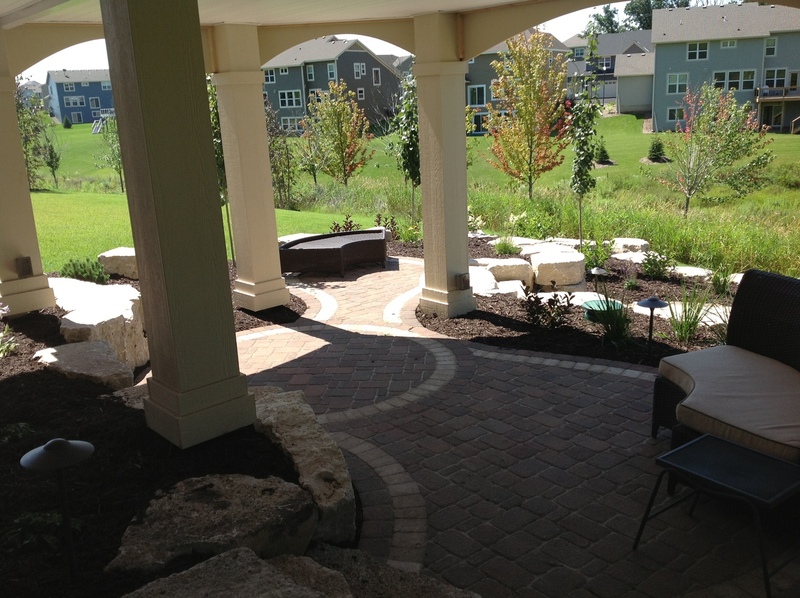 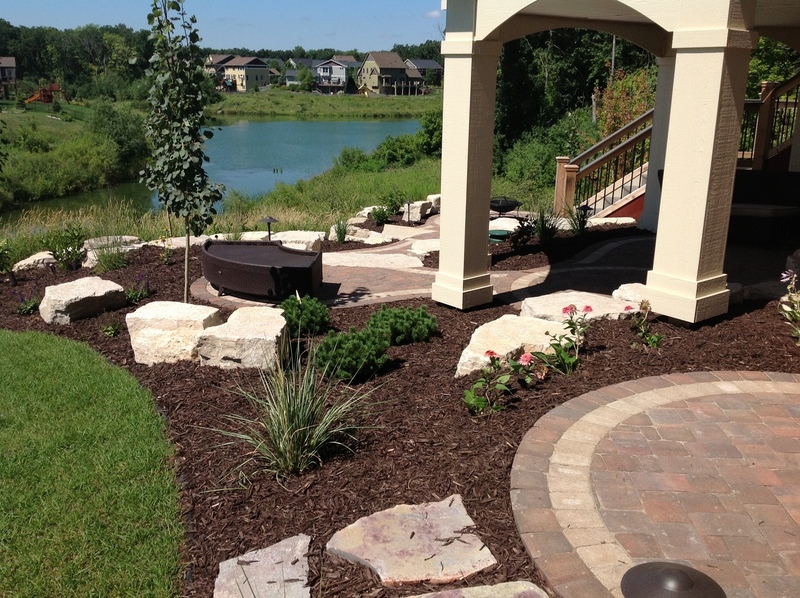 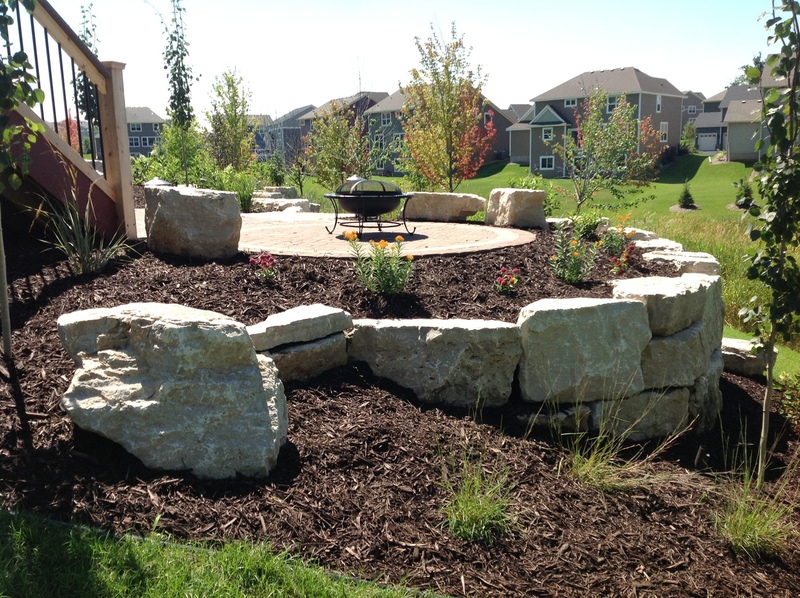 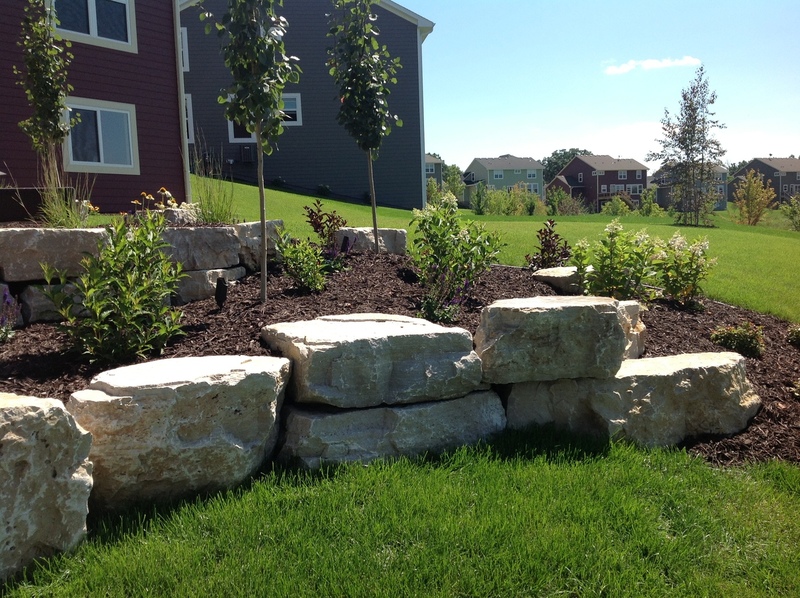 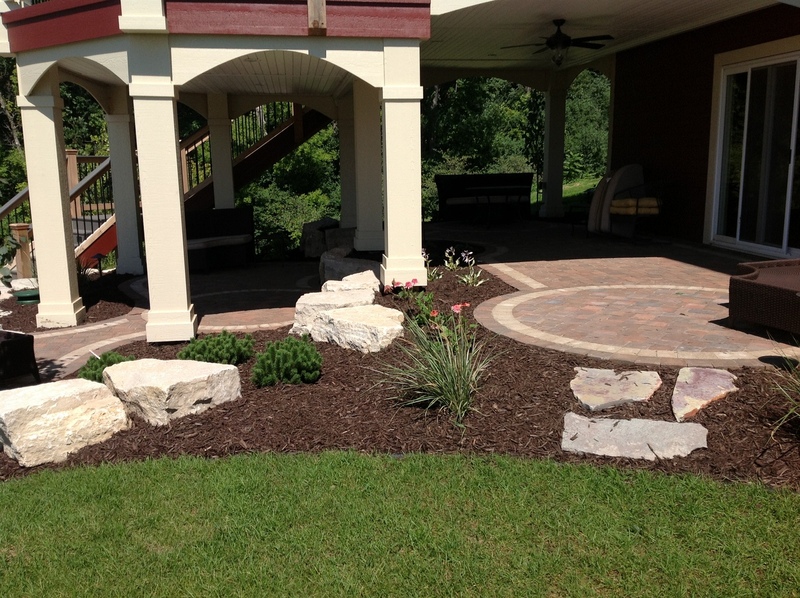 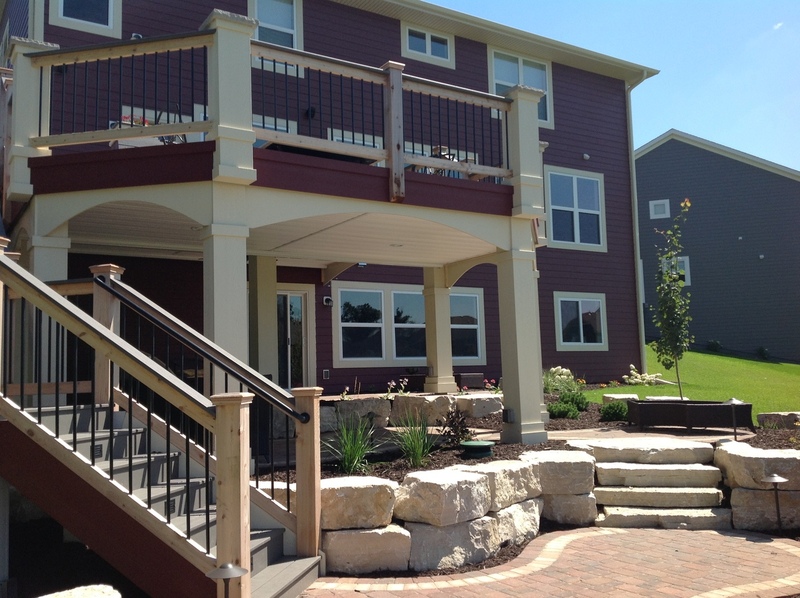 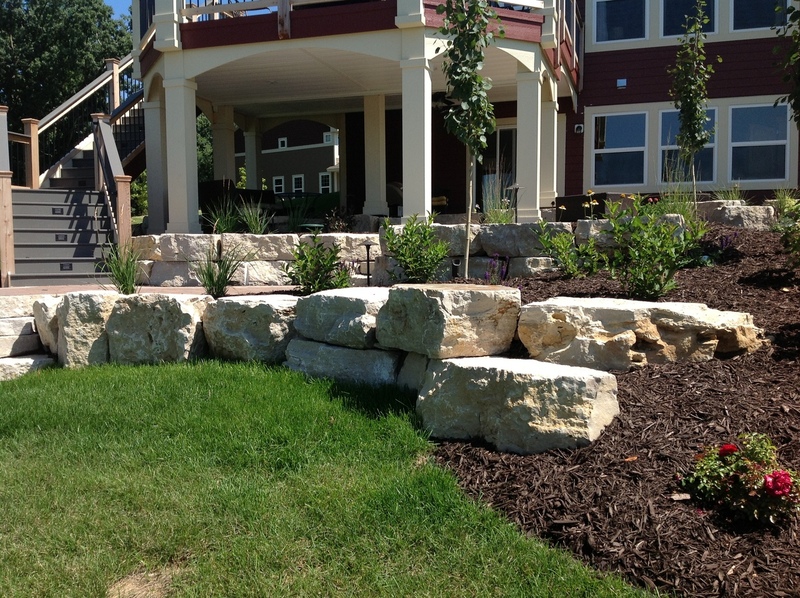 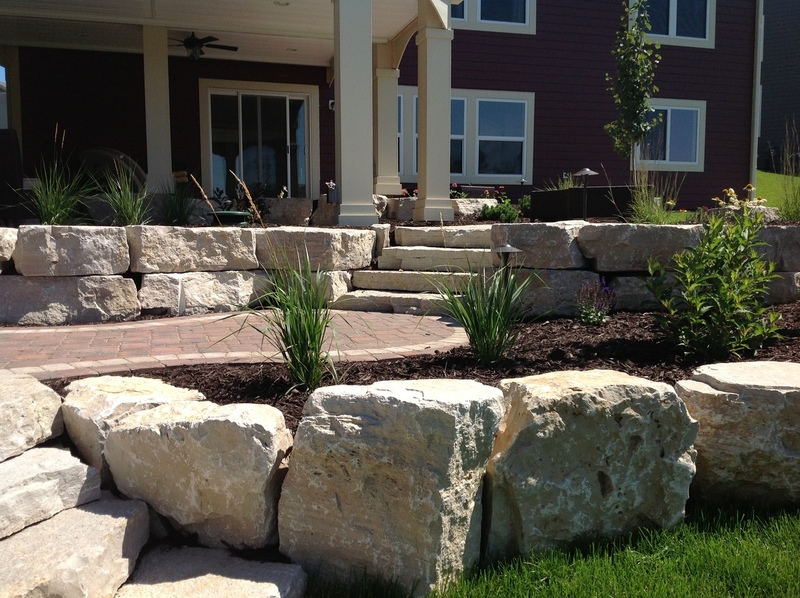 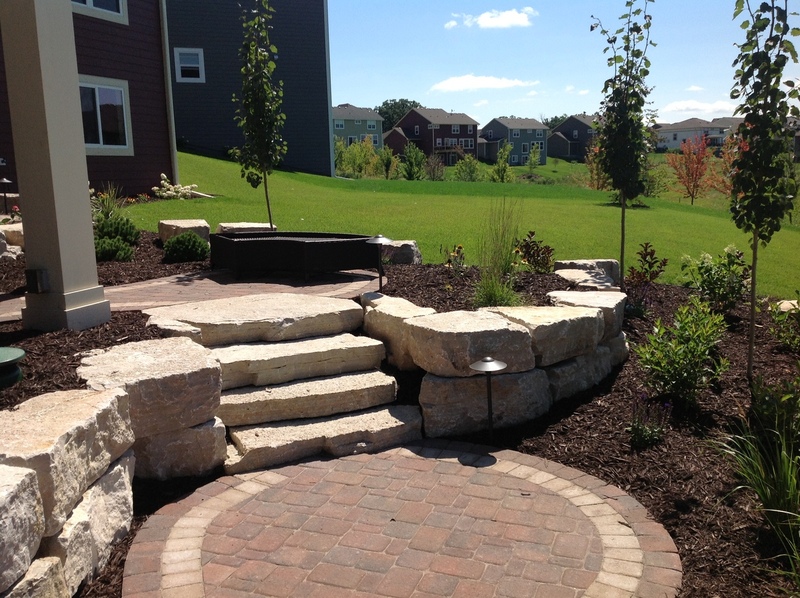 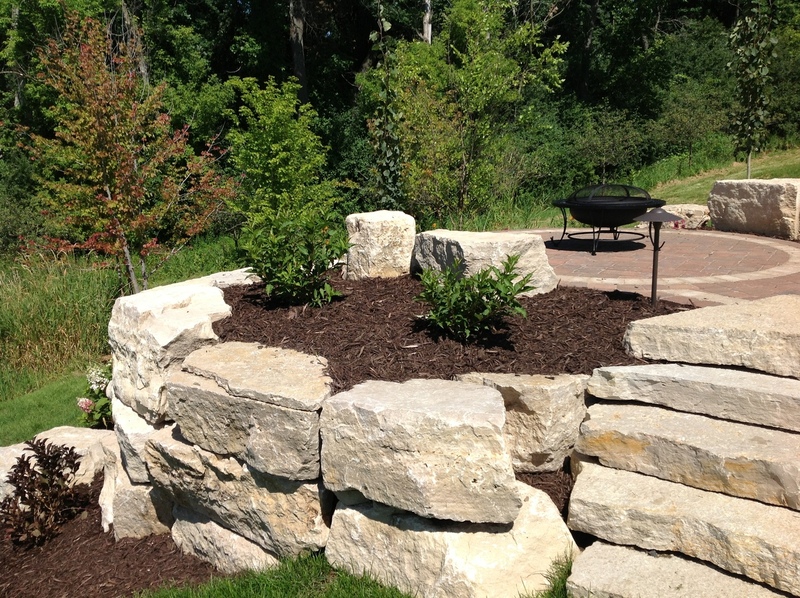 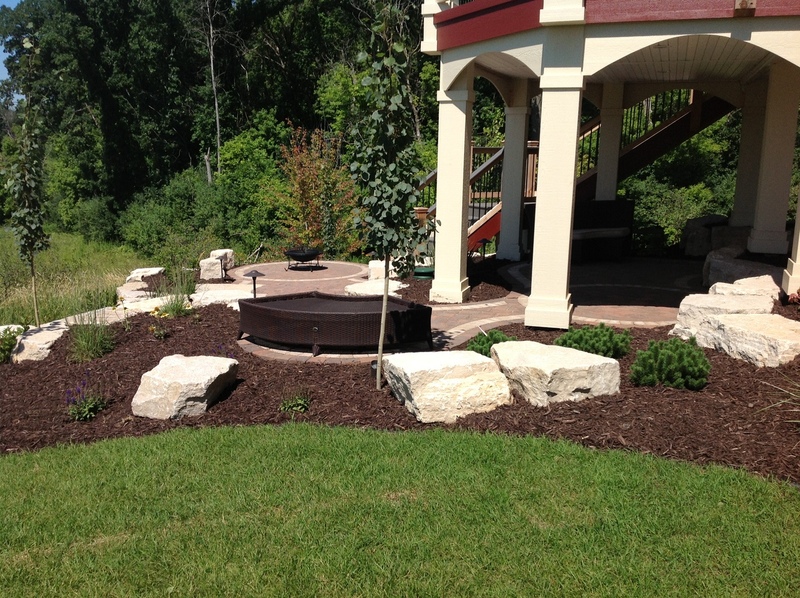 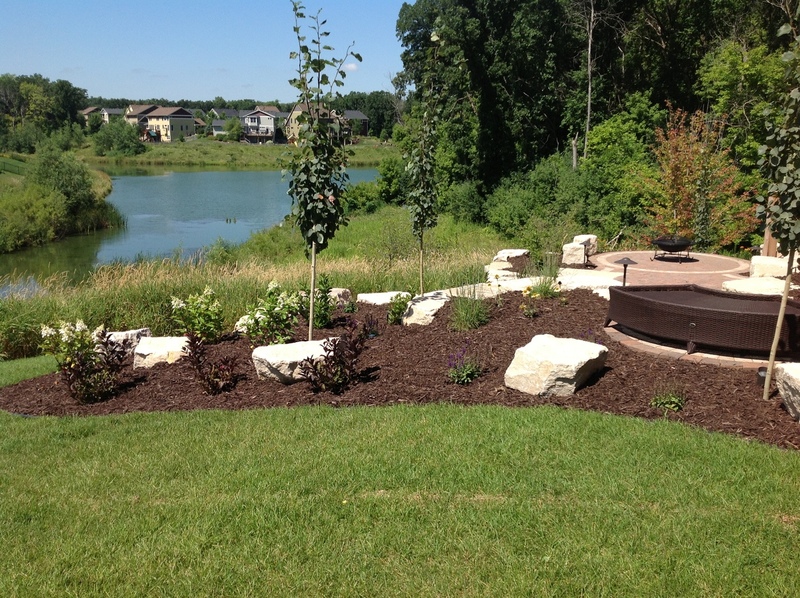 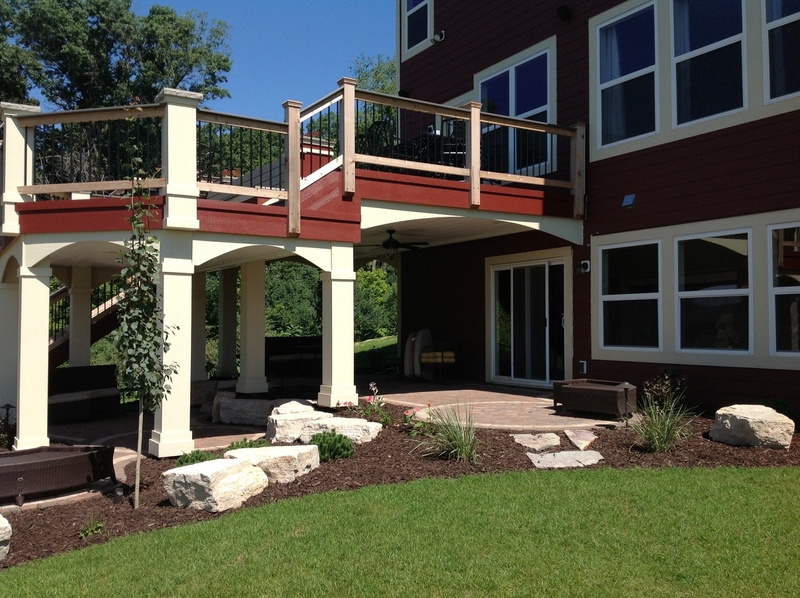 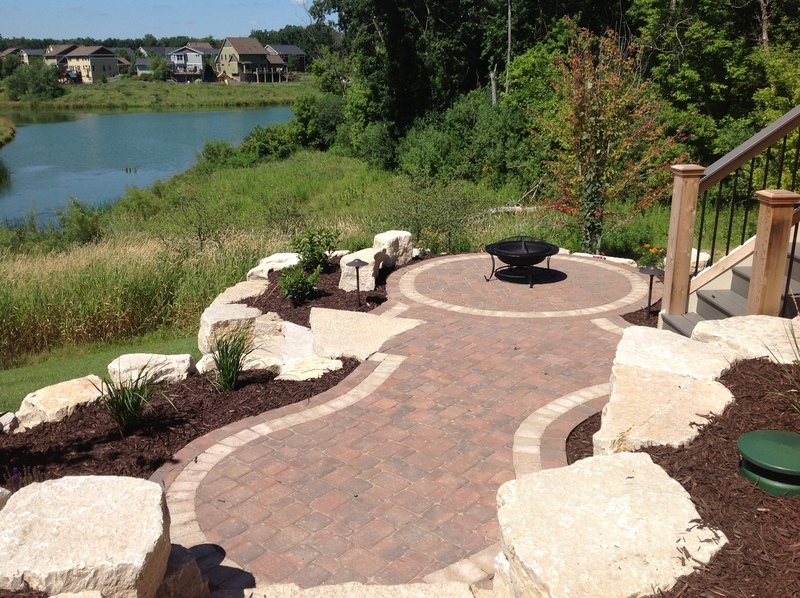 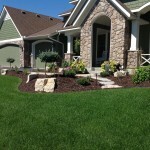 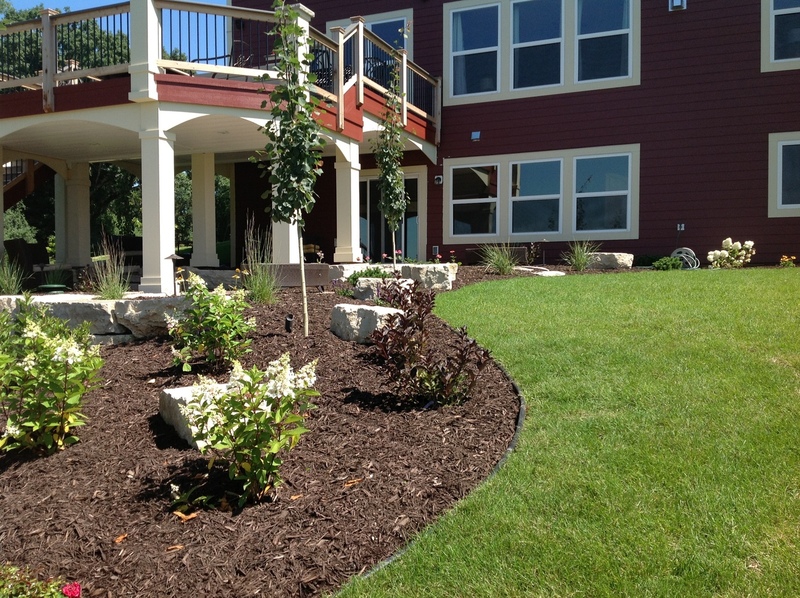 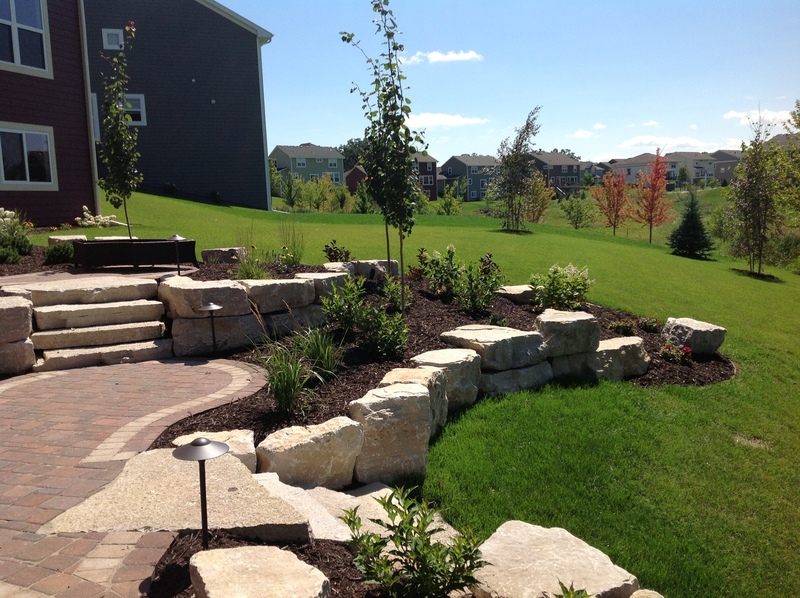 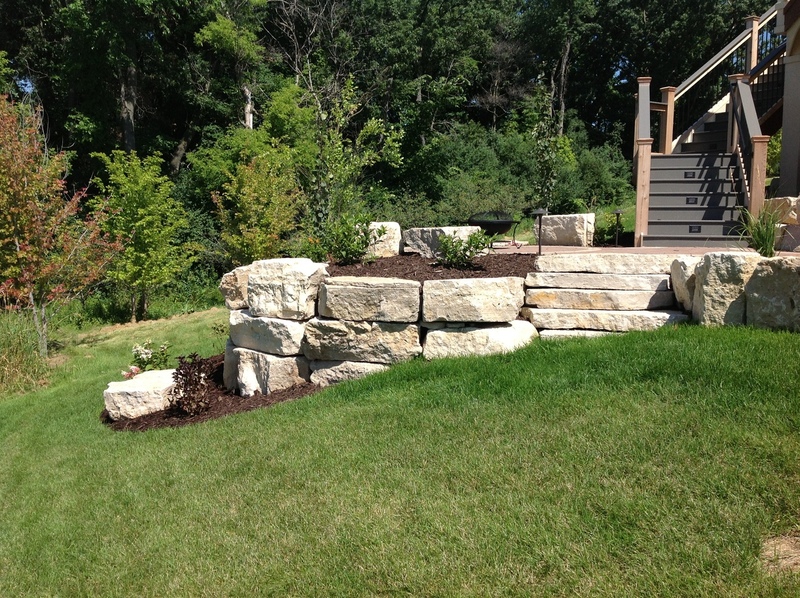 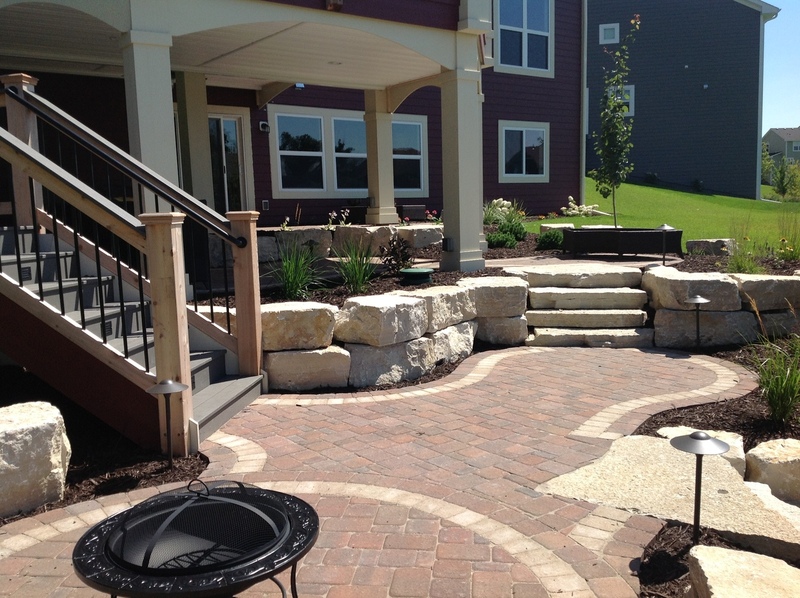 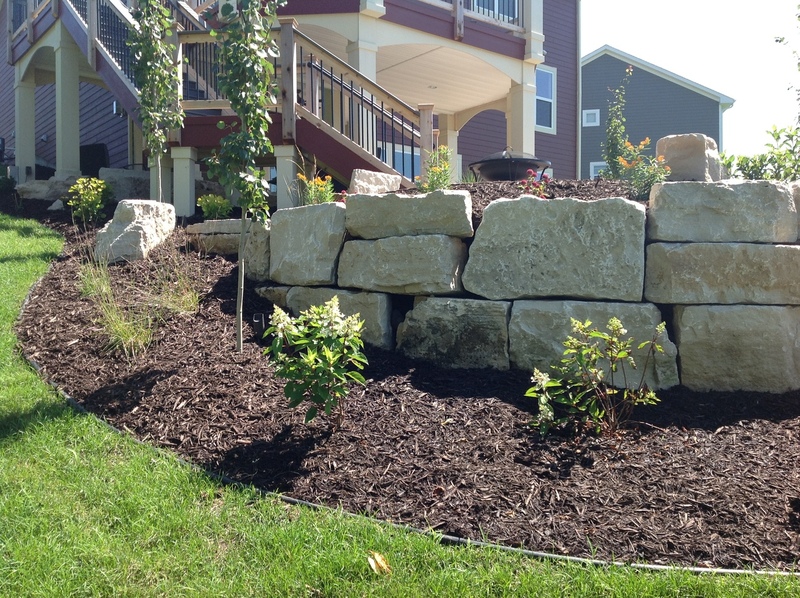 This custom landscape and hardscape project in Rosemount, MN featured many different elements. 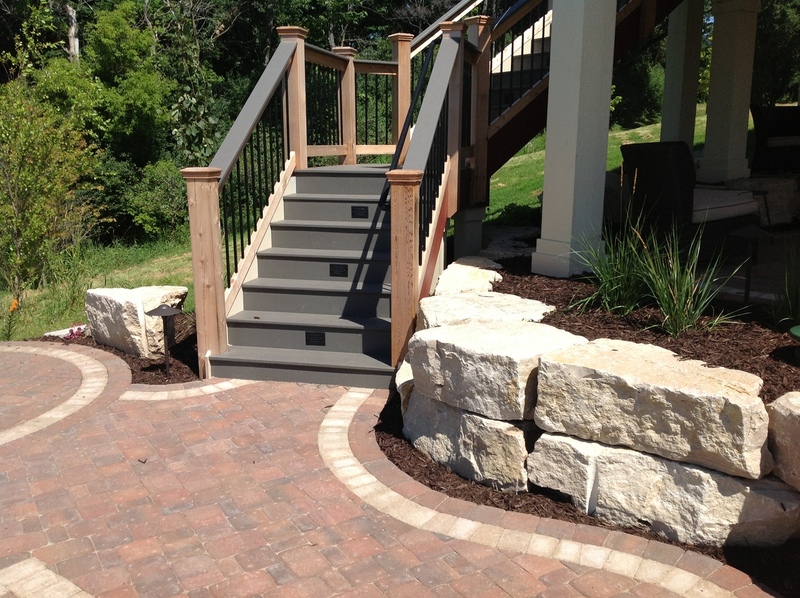 The multi tiered Anchor Kingston paver patio was supported with Limestone cube retaining walls and Limestone outcroppings used for steps. 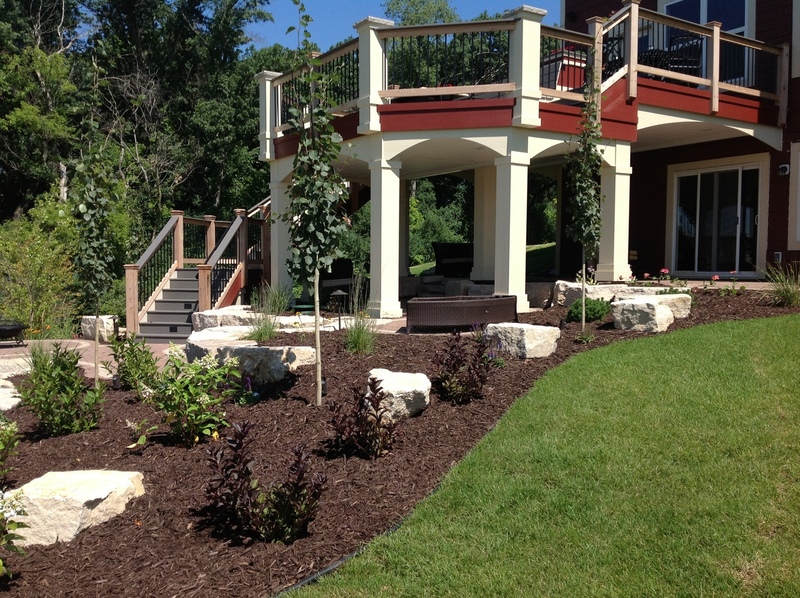 The plant material was made up of a variety of trees, shrubs and perennials to add height elements as well as color interest. 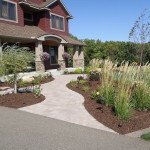 The brown dyed mulch helps it all stand out and offers the soft contrast to all the hardscape material used in the project. 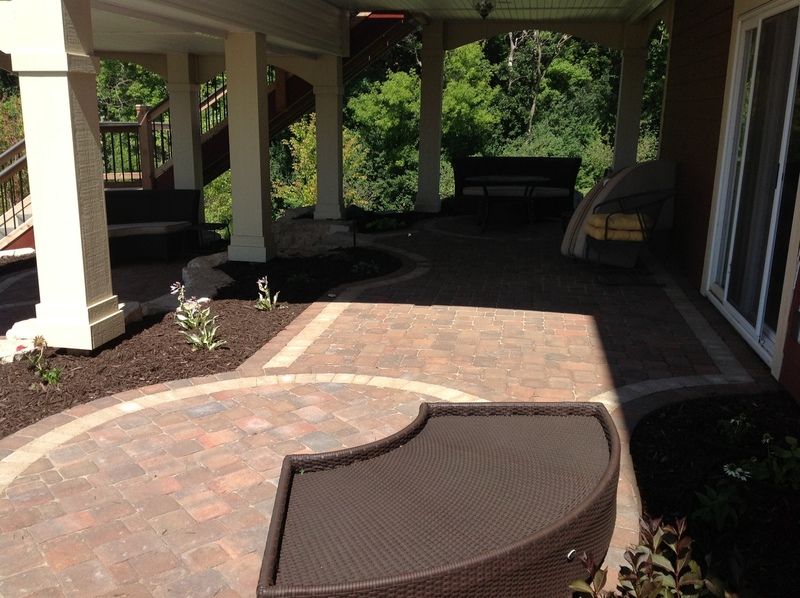 This project is enjoyed into the night with all the landscape lighting that illuminates not only the patio and steps but the plant material as well. 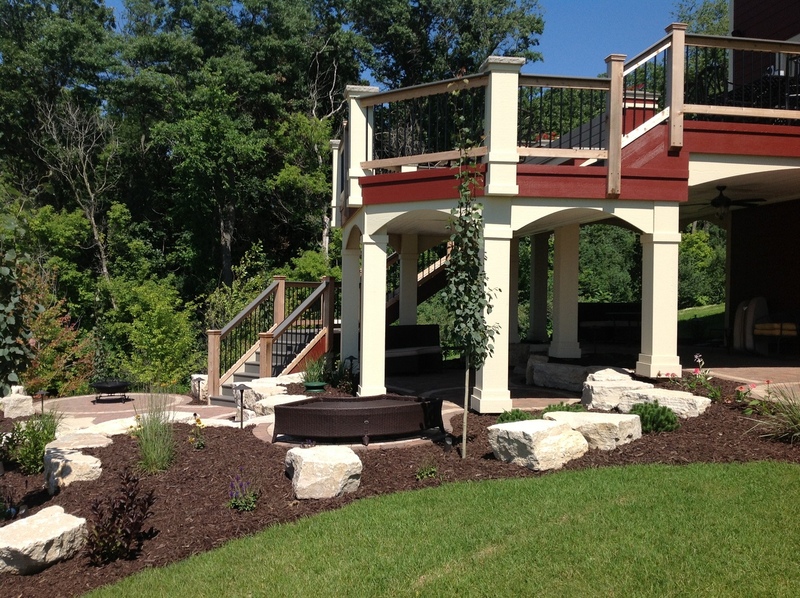 The custom deck is multi level with a gas fire pit to match the multi levels in the patio.